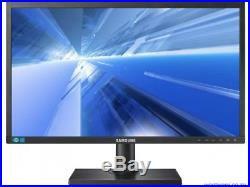 SAMSUNG S22C450BW CHEAP 22 WIDESCREEN MONIITOR 1680x1050 16:10 LED LCD VGA. WE PROVIDE INVOICES WITH VAT SEPARATELY DISPLAYED. Taken From Working Environment Tested Power on. Screen Panel May have little cosmetic blemishes, light scratches/marks or sign of wear and tear. All images are for illustration purpose only. 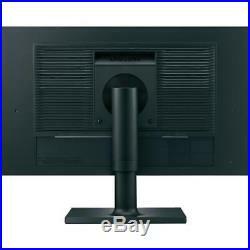 S22C450BW 22'' Series 4 LED HD Monitor Black (1680x1050)/HA/TI/SW/PI/VGA/DVI/VESA/16:10. 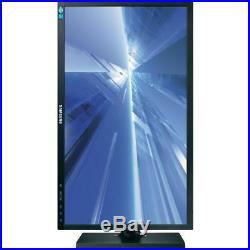 LED-backlit LCD monitor / TFT active matrix. Power off timer, MagicTune, MagicRotation, MagicAngle, MagicBright 3, Mega Dynamic Contrast Ratio, Eco Saving. 50.24 cm x 21 cm x 45.35 cm - with stand. Height, pivot (rotation), swivel, tilt. "Compatible with Windows 7" software and devices carry Microsofts assurance that these products have passed tests for compatibility and reliability with 32-bit and 64-bit Windows 7. AC 120/230 V (50/60 Hz). Power Consumption Stand by / Sleep. With stand - width: 50.24 cm - depth: 21 cm - height: 45.35 cm - weight: 5 kg Without stand - width: 50.24 cm - depth: 5.55 cm - height: 32.98 cm - weight: 3.5 kg. ALL IMAGES ARE FOR ILLUSTRATION PURPOSE ONLY. FREE UK POWER LEAD AND VGA OR DVI CABLE INCLUDED. This will ensure we have your request with your order and post DVI cable with your order. COLLECTION IN PERSON NOW AVAILABLE. CONTACTING US & LEAVING FEEDBACK. PLEASE GIVE US 5 STAR FEEDBACK (REVIEW). 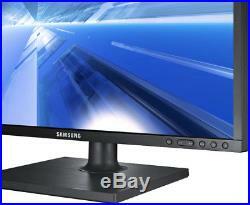 We will repair the item or replace with similar item for free of charge. Please read full terms bellow this page. 6 Oxford Street, Birmingham United Kingdom B5 5NF. Also, if possible please take pictures of the damage/s to the box and contents. Once an item has been ordered. We will endeavour to do our best to make sure we resolve any concerns. Please see point d above, as once youve contacted us we will arrange collection of item on a date pre-arranged with you on a date suitable to you. Our customer services offices are open Mon Fri 9:30AM to 5:30PM exc.